*this blog post is my reading summary series of History of Western Philosophy. For chapter 10, you can read here. In this chapter, there's not so much to tell about Socrates' life. For certain he was a native of Athens. He liked to teach young people, but not for money, unlike the Sophists. His teaching method was dialectic, which is the method of seeking knowledge by question and answer. This method was invented by Zeno, not Socrates. He was tried, sentenced, and executed in 399 B.C. when he was 70 years old. 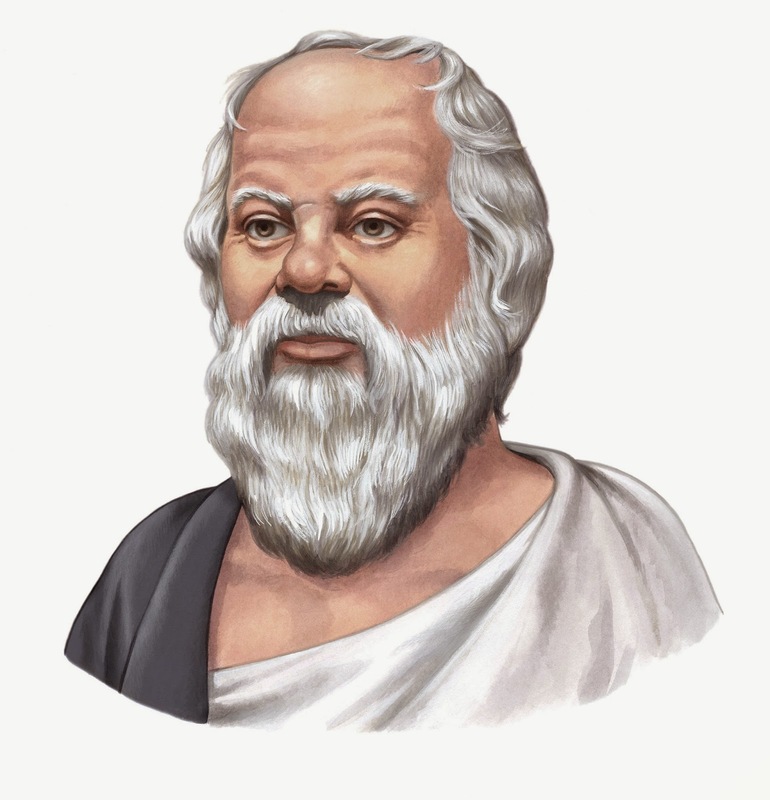 We know history of Socrates from his pupils, Xenophon and Plato. Xenophon wrote that Socrates was sentenced because he was corrupting the youth's mind. He described Socrates as "an eminently pious and had a thoroughly wholesome effect upon those who came under his influence." His ideas, according to Xenophon, were dull and commonplace. From Plato's writings, it's more difficult to separate which one was actually Socrates' ideas and which one actually belonged to Plato. There is a doubt that maybe Plato invented Socrates. Socrates was very poor by choice. He had no occupation. He was always dressed in shabby and thin cloak and he went barefoot every where. His endurance was very remarkable and astonished everyone. He could tolerate heat and cold, hunger and thirst. He was considered to be very ugly; he had snub nose and big tummy. About his prosecution, Socrates was thought as "an evil-doer and a curious person, searching into things under the earth and above the heaven; and making the worse appear the better cause, and teaching all this to others." (p. 91) The real reason of this allegation to Socrates was that he was supposed to be connected with the aristocratic party. His prosecutors were Anytus, Meletus, and Lykon. They believed that Socrates was guilty for impiety. He didn't worship the State's gods. He even introduced new divinities. And he was also found guilty for corrupting the youth by teaching them. He was sentenced to death by taking poison. Socrates proposed a fine of thirty minae, but got rejected. I recall from one book that I read Socrates actually had a chance to flee from Athens, but he refused the idea. He thought by leaving Athens only affirmed the accusation against him that he was guilty while Socrates strongly believed that he's not. Plato wrote the Apology, which was Socrates' speech when he defended himself in his trial.